The Wonder Grip Latex Palm Glove comes with a double latex coating and 13-gauge nylon liner. 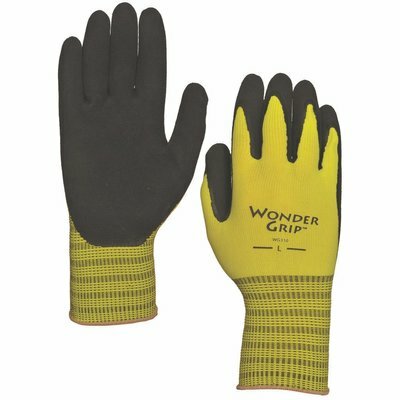 This provides the wearer with a high level of comfort and sensitivity for precision handling in wet or dry contexts. You can expect an excellent fit, a natural feel, reduced hand fatigue , and an effective grip.